Rangers 2.25 inch brayer is ideal for use with dye, pigment and block printing inks, stamp pads, acrylic paint etc. 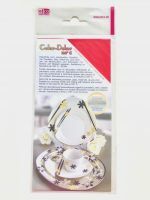 Use it to apply ink to large surfaces or to create effects by adding items such as rubber bands, bubble wrap, hessian etc. to the roller. 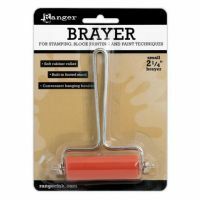 The brayers footed stand keeps your work surface clean.